Distinguished Fellow, Centre for Policy Dialogue (CPD); Chair, Southern Voice on Post-MDG International Development Goals; Chair, viz. LDC IV Monitor; Macro-economist and public policy analyst. Former: first Executive Director, CPD; Ambassador and Permanent Representative of Bangladesh to the WTO and UN Offices of Geneva and Vienna; Special Advisor on LDCs to the Secretary General of UNCTAD. 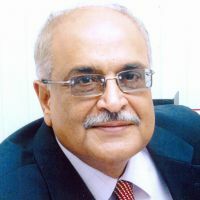 Member of many international development networks, governing bodies of a number of leading institutions and editorial board of reputed journals. Has published on trade, investment and finance related issues of the LDCs as well as on post-2015 international development agenda. Has studied in Dhaka, Moscow and Oxford. Held a number of visiting positions including at the Centre for Global Development (CGD), Washington DC.